As it has since time and Ellen Cleghorne immortal, the last round of additions to Saturday Night Live was met with the regrettably annual question of why there weren’t any black females joining the cast, a group that hasn’t been represented on the show since Maya Rudolph left in 2007. Recently that question has been posed in a more direct manner to Kenan Thompson and Jay Pharoah, who would both ostensibly be forced to step in should SNL ever decide it wants to tackle something related to black women—say, if there were a black woman in the White House, whose innocuous efforts to get a hate-filled nation to drink more water were somehow ripe for satire. But according to Thompson, even that probably won’t happen, as he tells TV Guide he’s done dressing in drag whenever the show needs a Whoopi Goldberg or Maya Angelou. “I don’t know,” Thompson said when pressed what SNL might do now, should it need to incorporate a black female character or celebrity spoof in the future. “We just haven't done them. That's what I'm saying. Maybe [Pharoah] will do it or something, but even he doesn't really want to do it." When pressed further as to what’s up with that—to reference one Thompson sketch where you glaringly won’t ever see a black female character—Thompson carefully avoided blaming Lorne Michaels or anyone else in power, saying instead it’s because the black females who have tried out for the show just haven’t made the cut. “It's just a tough part of the business. Like in auditions, they just never find ones that are ready,” Thompson said, in a comment that naturally isn’t sitting that well with the Internet, seeing as it comes very close to suggesting that none of the many talented black comediennes out there—or comedians from any of the other underrepresented ethnicities on the show—have what it takes to make it on Saturday Night Live. Which is clearly crazy, given that the world is a big and wondrous place, and laughter comes in so many colors of the rainbow, etc. Of course, that’s not what Thompson is explicitly suggesting, only that the specific black comediennes who have auditioned for SNL were not deemed “ready” by the standards to which, ostensibly, all the auditioning performers are held. And while that will likely do little to quell suspicion of racist double standards, Thompson’s comments—and the outrage they’ve sparked today—have already inspired plenty of suggestions for black females who might be seen as "ready," should they ever get the chance to audition. And who knows? Maybe in the wake of all this they really will—and Pharoah even has a suggestion ready to go: When asked a similar question at The Grio earlier this week, Pharoah more directly called the show out by saying that producers “need to pay attention” and hire Darmirra Brunson, currently seen on Tyler Perry’s Love Thy Neighbor, “because she’s black first of all, and she’s really talented. She’s amazing. 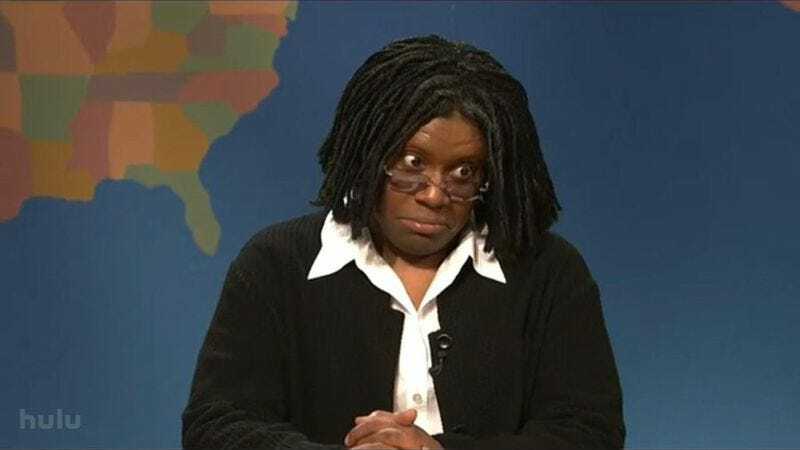 She needs to be on SNL. I said it. And I believe they need to follow up with it like they said they were going to do last year.” And considering neither Thompson nor Pharoah is willing to put on a dress anymore—and considering black women will continue to exist in the world outside SNL—that need may now be more pressing than ever.